Bookfest 2019 will be run again as usual. Having been in existence for over 15 years, Bookfest has been an annual event that has traditionally been run by our colleagues at the Rotary Club of Coffs Harbour SOUTH. 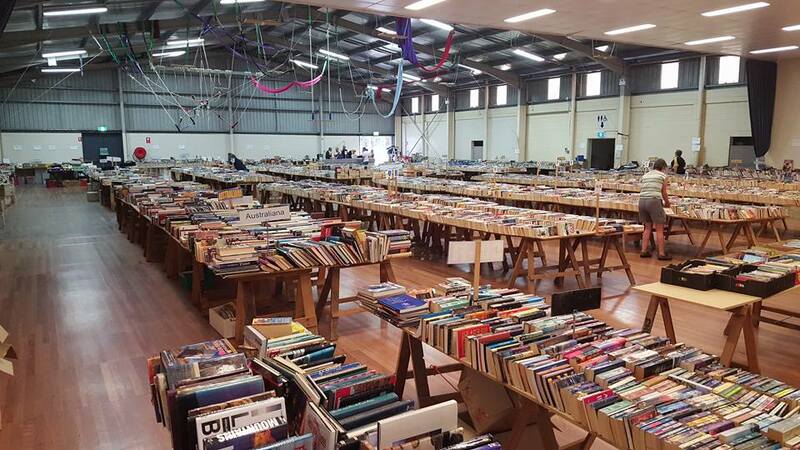 Bookfest is the sale to the public of second-hand books and is conducted over a full week, is held at the Coffs Harbour Showground. It is the largest book fair on the North Coast. We will continue the tradition of striving to offer a wide range of fiction and non-fiction categories in the 80,000 or so books for sale. We foster the ethos ‘Buy this year – Give back next’ which has been very much accepted by the community. We are now collecting books for our 2019 Bookfest and will gratefully accept your donations at our book shed at the Coffs Harbour Showground on the last Sunday of each month between 2 and 4pm. Please follow the signs to the stables at the rear of the showground. Funds raised in this event will be used to fund our local projects as well as supporting our worldwide efforts to eradicate polio just to name a few areas.